As a player in competitive games, the chances are that you have heard about boosting. While the term might be commonplace, many gamers don't know the importance of boosting. But first, what is boosting? Boosting in this context means to improve your chances of winning a game by playing a ranked match with an experienced player who is known as a booster. The booster is a highly experienced player in the League of Legends and can play at high levels, and his skills will help to increase your rank. Boosting in league involves playing with the booster to increase your chances of winning every game in the Leagues of Legends. 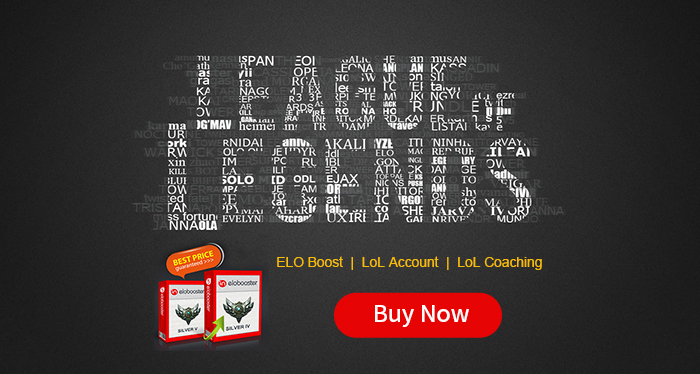 In short, ELO boosting ensures that you attain a rank that allows you to play at the highest level of the League of Legends. How to become a major contender in your League of Legends campaign? The fast way is going to buy LOL coaching, LOL account boosting, or elo boosting service. You might be wondering what you stand to gain by using ELO boosting matches on League of Legends. But league boosting service is one of the best gaming supports you can get on League of Legends. Here are some of the benefits you stand to gain by using ELO boosting when you play League of Legends. The League of Legends is a highly competitive game, making it extremely hard and time-consuming to rank your account. It gets worse if you have teammates that are not so good at playing the game. If you are unlucky, a long streak of losing streaks can set you back to the Bronze league where you started in the first place. You can avoid all these problems with an ELO boosting service. An ELO boosting service cuts the time you need to reach the upper rungs of the League of Legends ladder significantly. A booster brings a wealth of experience to your game and increases your chances of winning every match, effectively catapulting your team to the top of the rank and cutting short the time needed to climb to the top of the ladder. In addition to enjoying many wins, playing with your booster partner increases your skills in the game. Boosters are highly skilled and experienced League of Legends players who play at high ranks consistently. Using an League of Legends boosting service means you also become a great player by learning new skills from the best players in the game. In the recent past, people attained higher ranks in the League of Legends by paying some players to log in to their LOL accounts and help them win games to reach the desired rank. But this method of ranking was highly risky as most of these players are from China and they usually originate from the same IP location. The danger of this method is that the people who provide this service link hundreds of accounts together and if any of the linked accounts get banned, the rest are also gone. With boosting, you are not giving out your account details to anybody. The booster will be a member of your team, and your account will be safe from any interference or ban. Riot usually dole out rewards to players who attained specific ranks at the end of the season. If you finished the season as a Bronze player, you get a new summoner. But if you finished the season as a Diamond player, you are entitled to a summoner icon, loading screen border, an invite flair, profile banner trim, and a victorious champion skin. You can only receive all these rewards if you finished the season in the Diamond League. Boosting provides the fastest and easiest way to reach that lofty rank. If you are talented and highly skilled, it is natural to show off your achievements. Won’t you like to show your fellow League of Legends players how great you are at the game? Besides the pleasure and prestige, you also earn respect and admiration of other players. With league account boosting, you can get that highly coveted top rank at a relatively low cost. And then you can flaunt your achievements as a ranking player in the league.